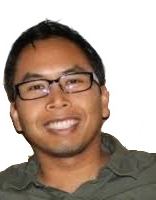 Senior Data Engineer, David Nhim, will share how News Distribution Network, Inc (NDN) went from generating multiple routine reports daily, taking up valuable time and resources, to instant reporting accessible company wide. NDN, the fourth largest online video property in the US, quickly analyzes 600 million ad impressions and tests new clusters within minutes using Amazon Redshift. In this session, we will learn how NDN reshaped their data governance strategy, resulting in valuable resources saved and performance optimization across their organization by using Amazon Redshift and Chartio. David is Senior Data Engineer at News Distribution Network, Inc and has been working with Data Warehousing and Business Intelligence for several years. He also has extensive experience in data modeling, ETL development, and database administration.